Hi folks! I’m very excited about this special exclusive mix from heavyweights, Matan Caspi & Eddy Good. These two are really on fire right now, so I’m honored they are sharing this fantastic preview of their upcoming Baroque compilation release. When you have two creative minds from different countries collide with each other, the impact is usually explosive! And with this compilation it is no difference, make no mistake this is the finest selection of electronic dance music at this present moment with the best upfront artists from Israel. Inside this amazing V/A compilation 18 unreleased tracks produced especially & exclusively for this project. Expect to find original material from artists like Magitman, Astronivo, Irad Brant, 123XYZ, Ofer Di, Eitan Carmi, Roi Tochner, Guy Mantzur, Stephan Bazbaz, Fresh, Ronen Dahan & Twice Nice, The 8th Note, Mr. Black, Colorless, Mark F, Garry Lachman and of course Matan’s & Eddy’s own productions. Travel into Israel by music and let the music guide you into the modern flow of today’s Israeli vibe, sharing a pure love and passion for electronic music, an essence of making borders and restrictions disappear like snow in the desert! Matan and Eddy met each other 3 years ago and started to produce their own unique sound which can never be defined as one style only. 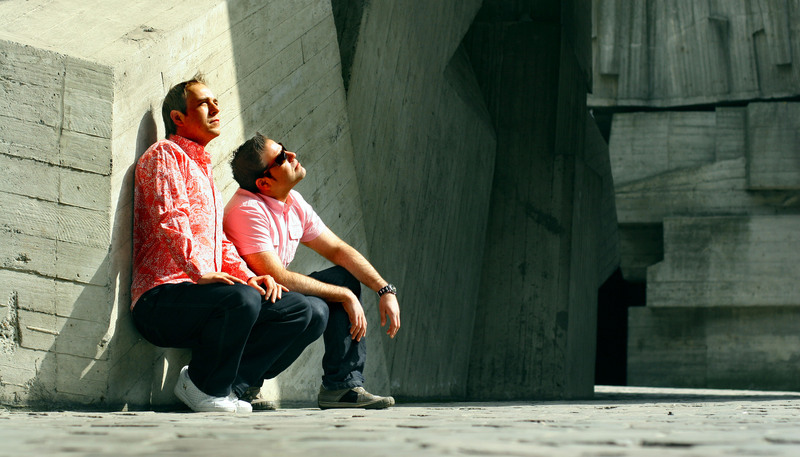 Their productions and mixes combine a diverse spectrum of musical styles, from groovy progressive house to the tech house & techno, from deep house through to the international edge of the electronic music pool.